It all started with an inadvertent visit to yachtsigns on a chilly Monday morning. This was the week after I had received our consignment of a brand new luxury yacht fleet from one of the top manufacturers in Fort Lauderdale – I run a luxury yacht charter business, one that I built from scratch. As you may already know, new boats are typically plain and unsigned, particularly the exterior. In fact, the only aesthetic additive that they bear is the manufacturer’s logo. In line with my mission of crafting highly-customized vessels for our esteemed clients, I needed to put up a personalized signage on these new boats. Signs of Reilly appeared as one of the most progressive and forward-thinking yacht branding service providers. Hence I decided to take the risk to hire them. Here’s what I noted about this branding and yacht signs company. 1. For starters, they employ quite a seamless and responsive working sign system. Once you have placed and paid for an order with them, you can track its progress anywhere throughout the design of your yacht lettering and installation process. 2. All their signs, be they multi-color lights or simple single-color labels are durable enough to be used in a salt-water or oceanic environment. They are highly resistive to brine and thus can withstand several years of continuous use without falling apart. 3. They take pride in timeliness and accuracy of their designs. With Signs of Reilly, what is you see is you get, and you will get it within less than three or four business days. As expected, this hinges on the scale of the work to be done. The entire assembly is complemented by unparalleled craftsmanship, unique over-the-top designs, and overall professionalism. 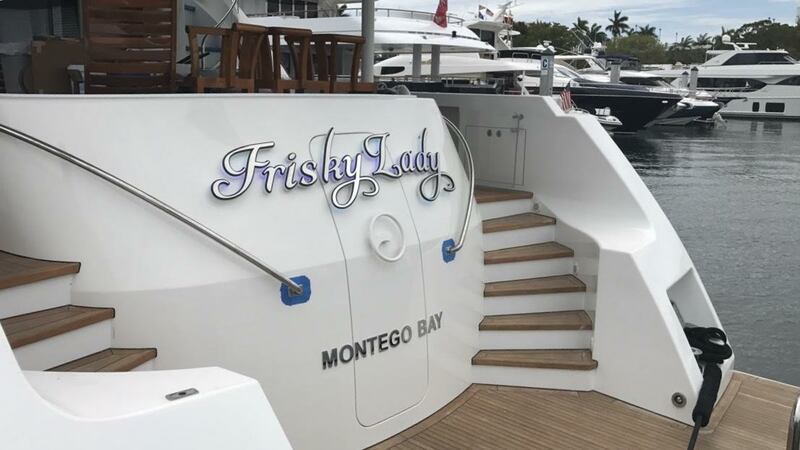 I recommend their services to anyone in need of fast, expertly done yachts signs, name plate designs, branding, lights or exhibition of their personal/business touch on their boat. Previous PostIcebreaker Ship: How Do Icebreakers Work?